HUNK and Nicholai make a triumphant return in this new third trailer for Resident Evil: Operation Raccoon City. 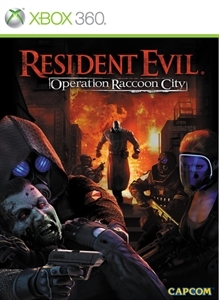 Their secret activities in Raccoon City, the troops sent into cover-up for Umbrella, and the unforgettable B.O.W.s from Resident Evil series are all here. The battlefield has never been hotter! Resident Evil: Operation Raccoon City tells the other, untold side of the story of Leon and Claire story from Resident Evil 2 from the viewpoint of the U.S.S. troops. Check it out!